The 2018 Acura RLX receives the brand's new face. Acura is giving the RLX a makeover for 2018 to revive interest in its oft-forgotten larger sedan. Honda's near-luxury arm unveiled the 2018 RLX on Thursday ahead of its formal debut during Monterey Car Week in California. 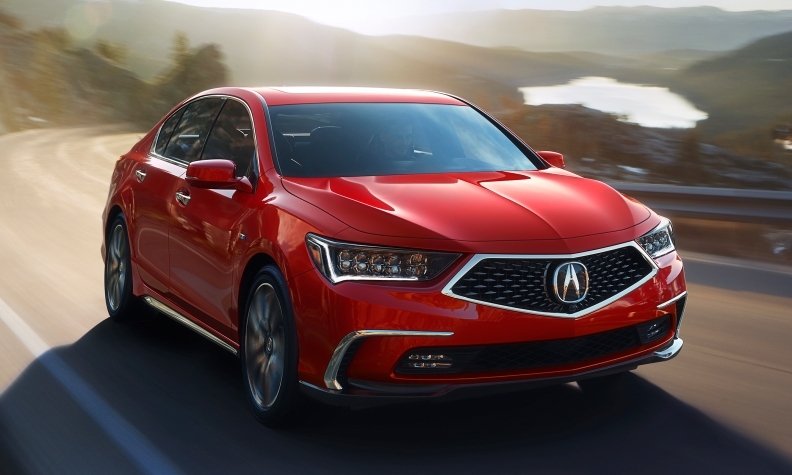 The updated RLX is set to go on sale in November and features revised exterior styling, a simplified trim lineup and a new 10-speed automatic transmission in the base model. Canadian sales of the RLX totalled just 41 through July this year, a 39 per cent drop from last year. Hoping to reverse those lagging fortunes, the 2018 iteration of the RLX updates the exterior design, replacing the metal beak grille with the "diamond pentagon" grille shared with the recently updated MDX and TLX. The hood, headlights, taillights and front and rear fascias are all revised for a more aggressive and sculpted look. Inside, the RLX receives new seats and upgraded materials. Under the new sheet metal is the same V-6 engine and optional Sport Hybrid model. The base 3.5-litre V-6 still makes 310 hp but now is paired with a new 10-speed automatic gearbox. The 377-hp Sport Hybrid version gets tuning upgrades to its powertrain and handling. Acura is eliminating several trim packages on both the base and the Sport Hybrid model and boils everything down to just two versions. The base (nonhybrid) RLX now comes standard with Acura's Technology package, and the Sport Hybrid comes standard with the Advance package. Acura is hoping the simpler trim lineup will significantly boost interest in the Sport Hybrid model. Pricing and fuel economy ratings will be announced closer to the car's on-sale date in November.